Shoulder pain is a common complaint that seems to increase with age. 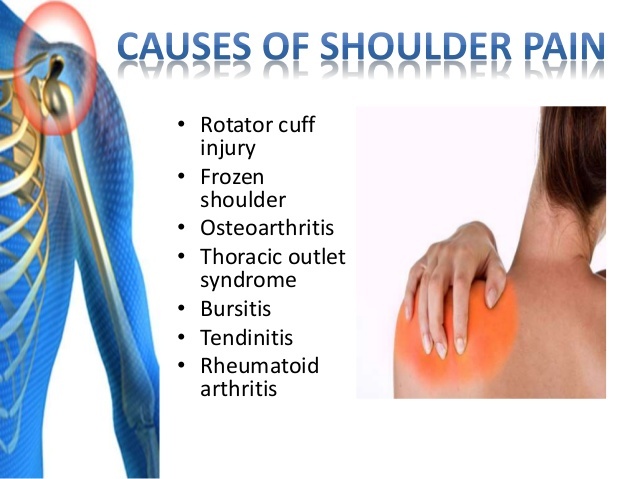 Problems in the shoulder occur with everyday wear and tear, overuse, or injury. it is not difficult to imagine that shoulder problems could affect 15 to 30 per cent of adults at any one time. Shoulder injuries are a common reason to visit the physio. It is sensible to consult your physio if your shoulder pain fails to clear up after a couple of days of rest and application of ice (if the injury is recent) or heat (if the pain is from a chronic condition). swelling or significant bruising around the shoulder joint or on the arm. If you are experiencing any of the above symptoms, it is important that you have your condition assessed at Cobram Physio.